Internal partitions with decorated glass. Particular attention is given to the customers’ needs in GM Décor. 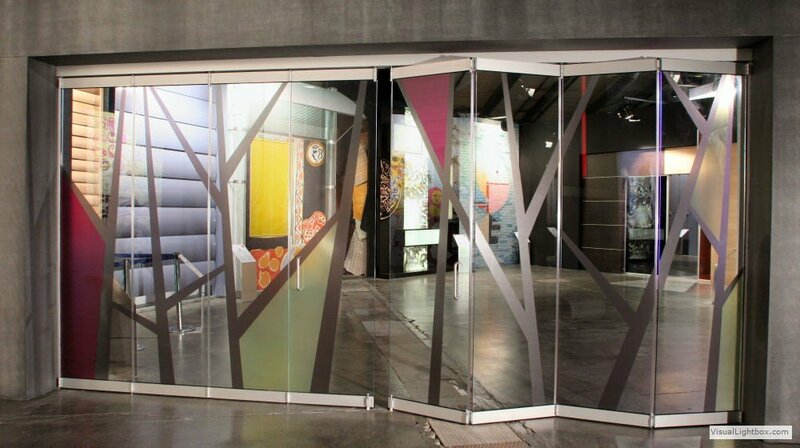 It’s possible to customize the GIEMME SYSTEM glass doors with the use of screen printing or by choosing specially designed glass and thus adding a touch of class and elegance. 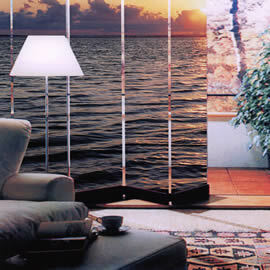 Extra-clear glass creates a luminous effect meanwhile mirrored glass has an amplifying effect on the surrounding spaces. The binominal Giemme System sliding glass doors and Decorflou frosted glass are ahead of the most innovative trends in glass design. Photographs of the natural environment or exotic landscapes are some of the favourite choices in addition to geometric designs for those who love bold lines. 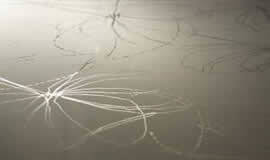 Everything can be reproduced at high resolution on the dividing panels of the Giemme System. 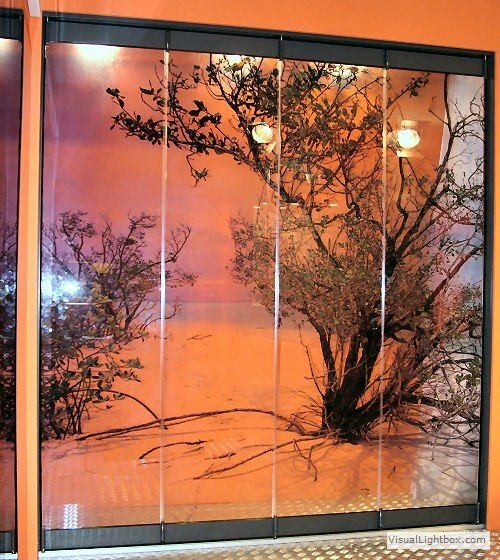 Many public places or companies decide to personalize the GIEMME SYSTEM glass doors with their own slogan or perhaps with advertising brands. 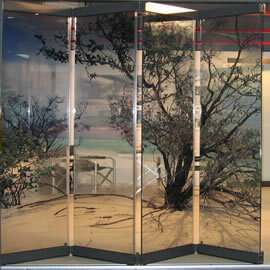 The application of these elements with a film allows you to renew the design on the glass doors with great ease.